At GIBBS Automotive Service, we understand the terror that comes with the words "transmission repair" and we want you to know that there is hope after all. Whether manual or automatic, heavy duty or low range, the transmission is a vital part at the center of your vehicle's drivetrain. Your transmission is instrumental in turning the engine's power into forward movement, so it's not surprising that problems with this important component can cripple your car. The experts at GIBBS Automotive Service have years of experience working on transmissions of all types and sizes. When everything grinds to a halt we have the skills to get you moving forward once more. One of the easiest ways to avoid a large transmission repair bill is to flush the fluid according to the vehicle manufacturer's guidelines. Your transmission contains a lot of intricate moving parts which can deteriorate quickly if not properly lubricated. GIBBS Automotive Service's technicians can take a sample of your transmission fluid and determine how long it will be before it's time to renew. When that time comes, we can have you in and out of the shop quickly. Sometimes our technicians don't get to look at the problem until after something has gone wrong. While this is certainly more serious than a simple transmission fluid change, it doesn't have to spell disaster. At GIBBS Automotive Service, our expert technicians can carefully disassemble your transmission, identify any faults, and determine whether repairs can be made or not. We utilize an extensive network of parts suppliers, manufacturer knowledge, and expert repair skills to get your transmission repaired, and your vehicle back on the roads of Tucson, AZ. At its most basic, your car's clutch allows the engine and gearbox to engage and disengage from each other between gear changes. This means that although the engine's output shaft is still spinning, there is no load on the gears which may cause them to shift improperly. Once the next gear is smoothly selected your clutch will re-engage the engine and gearbox, resuming forward momentum. Over time, and especially in improperly operated manual transmission vehicles, the clutch can become worn and less effective at its job. A damaged clutch can allow the engine and gearbox to re-engage mid-gear change, and this can have serious effects on the health of your transmission. GIBBS Automotive Service determines the health of your clutch through diagnostic testing as well as test driving. As with a transmission fluid flush, we'll have your car back on the road and your peace of mind stretching for miles. Another area of our gear-based expertise is your car's differentials. These sit in the middle of your car's axles between the wheels and are vital for a smooth ride. As you turn a corner, the outside wheel has to travel a greater distance than the inside wheel. Without properly functioning differentials, the wheels would turn at the same rate causing your car to vibrate horribly, and struggle to turn whenever you tried to go around a corner. When it comes to examining, diagnosing, and fixing faulty differentials, our experience with transmissions makes GIBBS Automotive Service the best place to go in Tucson, AZ. Avoid transmission disaster by coming in and having your transmission, clutch, and differentials checked out today. Call us at 520-325-1431 or visit us in Tucson, AZ so we can schedule an appointment to ensure your car is in tip-top shape! Automatic Transmissions shift between gears automatically to optimize driving, and changes gears based on the driver's throttle pedal, vehicle speed, engine speed, and vehicle load. Typical automatic transmissions have 4-5 forward gear ratios, a Reverse, Park, and Neutral gear. Shifting gears occur automatically once the car is in Drive and there is no need for a clutch pedal or gear shift like there is in a Manual Transmission. Automatic transmission repair is complicated based on all the components that make it up, and you need to have any automatic transmission issues properly assessed by auto mechanics. Call 520-325-1431 to talk to the mechanics of GIBBS Automotive Service about your transmission problems. There are clutches in both automatic and manual transmission cars, and different types of clutches. When shifting gears, the clutch engages and disengages from the flywheel and transfers the torque through the transmission. Clutches should help your vehicle start and shift gears smoothly. The clutch in your car receives a lot of wear and can eventually wear out. If your clutch begins slipping irregularly or is making noises that are raising suspicion, contact GIBBS Automotive Service to see if clutch replacement is necessary. A four-wheel (4x4) drive vehicle has differential gears, both front and rear axles, and a transfer case attached to the transmission. Four-wheel drive vehicles demand maintenance on the transfer case, front differentials, rear differentials, and transmission fluids. Visit us on 1132 N Belvedere Ave for service on your four-wheel drive transmission services. If your vehicle has Front-wheel drive, the engine drives the front wheels only. The power is routed through the transmission to the final drive where it is split and sent to the two front wheels through the drive axles. The engine, transmission, and additional hardware is all located in the front of the car. If you are in need, GIBBS Automotive Service of Tucson, AZ will gladly repair front-wheel drive transmission vehicles. Driving a vehicle with a Manual Transmission requires using the clutch pedal and gear shift to manually shift gears based on the speed of the vehicle. Manual transmissions have been built with anywhere from two to eight gears. Front-wheel drive and rear-wheel drive are the two main configurations for manual transmissions. Typically, manual transmissions require less maintenance then automatic transmissions. At GIBBS Automotive Service, our auto mechanics can diagnose your vehicle and then recommend the transmission repair or transmission service you need to ensure safety and improve the lifetime of your vehicle. In motor vehicles, the transmission usually refers to the gear box, which uses gears and gear trains to transmit speed and tourque from a rotating power source to another device. You can have your car's transmission replaced with a new, rebuilt, remanufactured, repaired or used transmission. For more information contact GIBBS Automotive Service in Tucson, AZ. 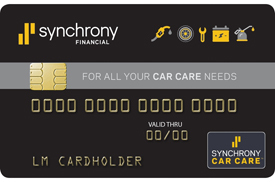 Our experienced service technicians can help you make the best decision for your vehicle and your wallet. Transmission repair is not something to take lightly. The transmission is connected to key parts of your vehicle and needs to be working properly for your safety. Transmission services include replacing filters and draining fluids to prevent transmission damage. Typical transmission issues that may lead to repair may include shifting issues, slipping, stalling, fluid leaking, and the service light turning on. If you are concerned that you may need transmission repair, don't hesitate to schedule an appointment at GIBBS Automotive Service today. A transfer case is a part of a four wheel drive system found in four wheel drive and all wheel drive vehicles. The transfer case receives power from the transmission and sends it to both the front and rear axles. This can be done with a set of gears, but the majority of transfer cases manufactured today are chain driven. The transfer case is connected to the transmission and also to the front and rear axles by means of drive shafts.Trust the automotive experts at GIBBS Automotive Service for all your transmission repairs.